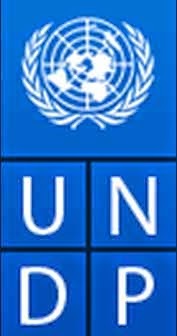 Sri Lanka has progressively improved in human development over the years and is listed at the 73 in the category of High Human Development Country in the Human Development Report (HDR) 2014 released today by the United Nations Development Programme (UNDP). The 2014 Human Development Report 'Sustaining Human Progress: Reducing Vulnerability and Building Resilience' covering 187 countries was launched in Tokyo, on 24 July 2014. The 2014 HDR highlights the need for both promoting people's choices and protecting human development achievements and offers a fresh perspective on what makes people vulnerable, and proposes ways to strengthen resilience. Sri Lanka's Human Development Index (HDI) has progressively increased up to 0.750 in 2014 compared to 0.513 in 1980. Sri Lanka's nearest neighbor, India is ranked at 135 in the index, among the 'medium development' countries along with Bhutan at 136 and Maldives at 103. Pakistan ranked 146, Nepal at 145 and Afghanistan at 169 are in the 'low development' category.